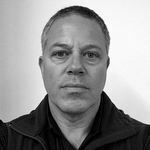 With 25 years in the security industry throughout Africa and Australia, Simon Zola has a vast, practical understanding of every facet of your technology requirements. His passion for new ideas and customer engagement has lead to roles with manufacturers, integrators, corporate and private security firms bringing an open, educated knowledge and perspective to understanding your Security solution requirements. Responsible for all operations and activities in Australasia, Peter has designed and deployed electronic security and workforce management systems across Australia, NZ and the UAE. Prior to commencing his physical security career in 2000, Peter was previously a computer programmer and facilities manager, affording him a thorough and practical understanding of the customer’s needs and objectives.